Waikato–Tainui was the first iwi to reach an historical Treaty of Waitangi settlement with the Crown for injustices that went back to the wars and land confiscations (raupatu) of the 1860s. The Deed of Settlement included cash and land valued at a total of $170 million. The settlement was for some $150 million more than the government had been prepared to offer less than five years before. A mere six years before the signing, in fact, there were no state plans to supersede the 1946 agreement. Matters had, certainly in international terms, moved fast. The agreement also included a formal apology from the Crown. 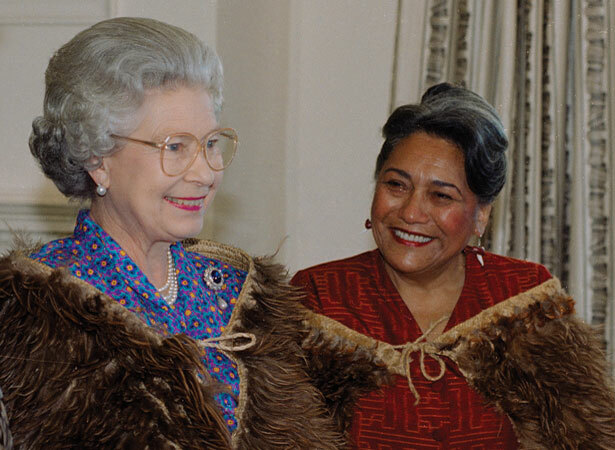 Queen Elizabeth signed the Act that made the agreement law during her state visit later in 1995. Tainui established a commercial framework to manage its tribal assets and, by 2014, Tainui Group Holdings and Waikato–Tainui Fisheries had assets of over $1 billion. We have 6 biographies, 4 articles, 1 comment related to Waikato-Tainui sign Deed of Settlement with the Crown . Hi - while the Waikato-Tainui deed was certainly the first major settlement, it wasn't the first settlement. Ngati Whakaue settled for $5 million in 1994 and several other smaller settlements. Go to the OTS website.